After getting dozens of emails with your of feedback we’ve run another round of review: we’ve added 18 more models to tests and involved 3 professional barbers from different states.Â In this review, we want to show you the best beard trimmers of the yearÂ to make your choice easier. 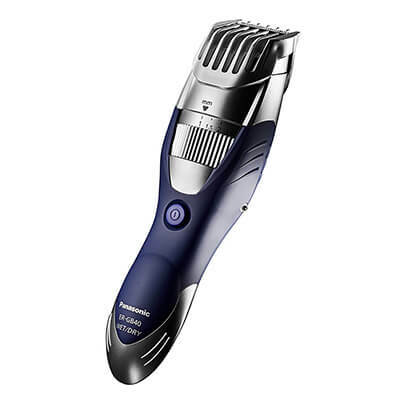 Below are the top 11 trimmers, but the winner (in our opinion) is Philips Norelco Multi Groomer 7750 – the best beard trimmer for most types of beards. 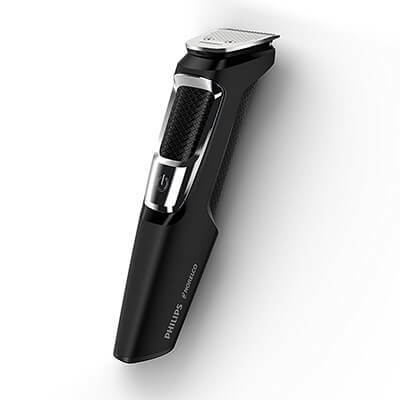 This multi-purpose electric beard trimmer by Philips consists of 23 pieces, which gives you a comprehensive, all-in-one device for your trimming and grooming needs. Cordless, rechargeable, affordable, 100% waterproof, goes with a storage bag and cleaning brush. This trimmer is either a great choice for yourself and is a great gift idea for a bearded man. This table represents our pick of top beard trimmers this month. We compare 10 clippers by two parameters. First one is the number of styling guards with lengths ranges. Some models have only one guard but it is adjustable. The second parameter is a run-time – this is a number of minutes or hours trimmer can work from one charge to another. This facial hair trimmers chart updates on a regular basis. Deluxe multi-purpose Lithium Ion+ stainless steel trimmer. 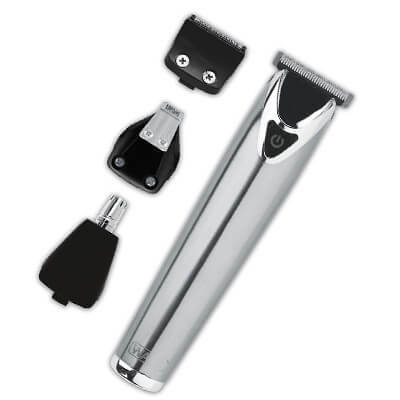 Luxurious trimmer with exclusive low friction ceramic blade. 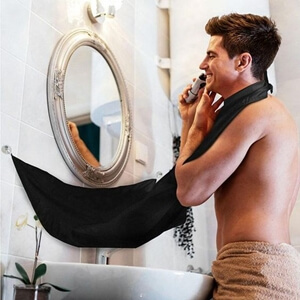 Beard trimmers help you to shave and â€œmanscapeâ€� as you need. These grooming tools allow you to trim your hairs at various lengths. You can properly adjust according to the style you are going for. Choosing the right facial hair trimmer for you is nice and easy. All you have to do is think of the look you have in mind and that you are going for when it comes to your beard and hairstyles and then think of what types of trimmer is required to help you get there. From that point, you can pursue through the best-selling beard trimmers on the market to find the perfect one for you! Over 450 beard trimmer models by 32 top brands. That’s the number of options you have today. So choosing the best beard trimmer for your needs may be confusing.In fact, letâ€™s begin by taking a look at the top facial hair trimmers to help you find the best one for your needs. Each of these trimmers has been testes by our grooming experts and really can make your beard trimming process smooth and joyful. The Philips Norelco Multigroom 7750 has been proclaimed by a number to be an improvement on the 5000 version. It has a two-blade system and comes with 23 accessories that basically take care of all the body grooming and beard care you would be doing. The accessories even cover combing too. Just like most products made by Philips, this trimmer is a good guarantee of high quality and has amazing features. Also, the accessories within the entire package makes it a great purchase choice too. You cannot be wrong to go for this. Philips Norelco Multi Groomer 7750 makes for a great choice for a trimmer. Besides great features like the dual-blade system, it is manufactured with very high quality materials. Similarly, the 23 accessories with there massive functions make it the bomb! Wahl stainless steel beard trimmer comes at quite an affordable price for most while not compromising on quality. Right from the materials used in its manufacture, it is clear that no expense is spared in getting only a high quality end product. For a beard trimmer, Wahl sure does beat the pants off a number of beard trimmers on the market. From the interchangeable heads to the self sharpening steel blades, you can be sure that you’re making a great choice to spend your money on this. In essence, this trimmer is great for using as a gentleman. However, you would need to be a extra careful in ensuring that it doesn’t take falls that it shouldn’t. It is a great choice all the same and performs well. It comes with a ceramic blade that is harder than the usual steel blade and causes less friction. Although the Brio Beardscape Beard and Hair Trimmer is relatively new on the market, it has easily eased into the position of being one of the best. This is due to the capability of this trimmer to perform whatever function or create whatever effect you want on your beard. Apparently, the recent entry of this trimmer into the market does not in any way reduce its value relative to older trimmers. It is a guarantee of a wonderful shaving experience and is also pretty affordable. This trimmer makes for a great purchase considering that you can use it for both your hair and your beards. It is also relatively easy to operate and fits in the hand well enough to make trimming/cutting a smoother experience. This versatile hybrid just like a lot of other products manufactured by Philips is made from the highest quality materials available. It has a lot of great features that are notably in a lot of other trimmers on the market. For a product made by Philips, you have a guarantee that you are making a great choice by spending your money on this beard trimmer. Furthermore, features like its waterproof ability and its versatility makes it a favorite to a lot of people. This versatility of this beard trimmer gives it an edge over most of the other trimmers available on the market. Also, its high quality is not to be doubted since it is manufactured from high quality materials and belongs to a notable brand. This beard trimmer kit makes trimming super efficient and a whole lot easier since you have everything you need within a single pack. It also comes with a number of attachments which are pretty easy to maintain. One of these attachments is a nose trimmer which is the bomb. This trimmer remains one of the best on the market with a promise of durability and efficiency. Although it comes with just might attachments, these attachments are in fact highly essential and very durable. Totally worth every cent spent on it. This beard trimmer is very economical and can be purchased comfortably by the average man. It also functions pretty well and you are guaranteed that it would do the job. However, there have been several complaints about the battery life of this trimmer which should be taken into cognizance. 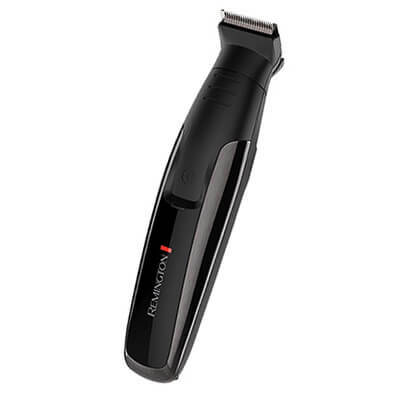 Uses durable, ultra-sharp trimmer blades that are precision honed to a 45 Degree angle for superior performance. A quick adjust dial provides 19 individual trim settings in 0.5 mm increments from 1mm to 10mm for smooth, precise trimming, detailing and cutting. Trim hair dry or in the shower; the waterproof beard trimmer is 100% washable and the trimmer head rinses clean in seconds under warm running water. 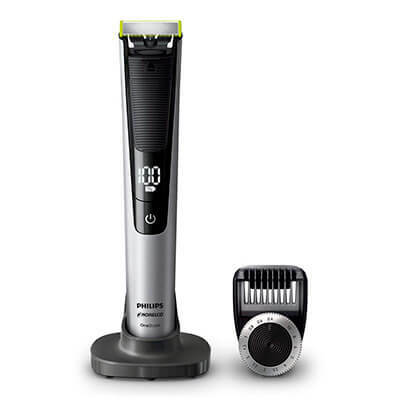 The Panasonic ER-GB370KÂ is an electric beard and hair trimmer that utilizes durable and ultra-sharp trimming blades to help you maximize your shave. The blades are precision honed down to a 45-degree angle which increases the performance of your trimmer and increasing the value of your shave. 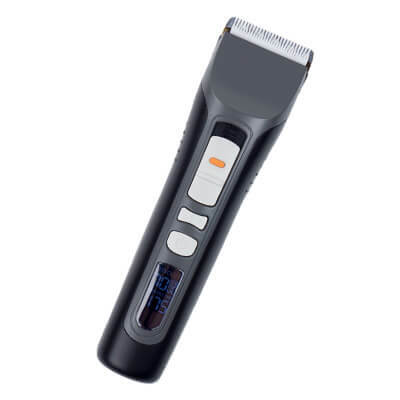 This trimmer is unique with its quick adjust dial that is able to provide you with 19 different and individual trim settings spaced out at 0.5 mm increments. The adjustments are able to give you shaves and trim anywhere from 1 mm to 10 mm, making this device great for multiple uses and purposes, no matter your hair length. This trimmer is able to be used both wet and dry, so you can use it in the shower or while looking in the mirror. No matter how you like to prefer shaving, you can do so with this shaver. The Remington PG6171 is a master kit that provides you with all the pieces you need (and more) for perfecting your shaving experience. This complete kit features 11 essential pieces to present you with all tools and equipment you might think of needing. The blades on the trimmer are self-sharpening. So you won’t have to worry about sharpening them yourself. The trimmer itself has a 3-hour operation runtime, allowing it to deliver long-lasting durability while still maintaining a high performance throughout its entire operation. Plus, if you need a quick boost, the 5-minute quick charge is able to save you precious time. This charge gives you enough power for a full shave in just a matter of minutes. Additionally, the entire kit is 100% waterproof, making it more practical and efficient for your daily use. Braun trimmer (BT3040) helps you to get the perfect beard fast and precisely. From the worldâ€™s #1 leading foil shaver brand, this beard trimmer has 20 different precision length settings at increments from 0.5 mm to 10 mm. Lifetime warranty guarantees that blades will stay sharp throughout your entire use of the device. Braun trimmer has a head and comb that are both fully washable, allowing for quick and easy cleaning under any temperature of running water. Philips Norelco Series 3500 has standard titanium blades that are self-sharpening, working to continue cutting every single one of your hairs just as you had intended. There are 20 different built-in precision lengths thanks to a zoom wheel that allows you to quickly go from one length to another with just a spin of the wheel. The lengths you can choose from are 1/32 inch or 0.5 mm to 13/32 inch or 10 mm. Plus, with its advanced lithium battery, you can enjoy 2 hours of shaving on a single 1-hour charge. A beard comb is included with this trimmer so you can have the complete package all in one. The integrated vacuum system catches up to 90% of cut hair for less mess. 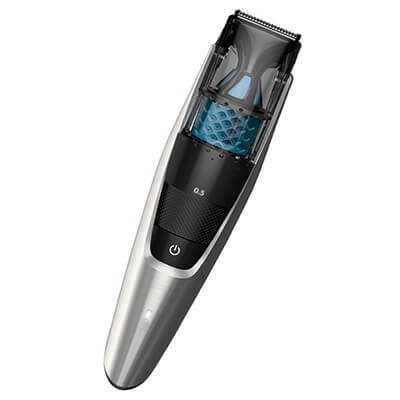 Philips Norelco Series 7200Â has a world-class vacuum system integrated into the trimmer itself which allows the device to catch up to 90 percent of the hairs that were cut.Â This gives you less of a mess to worry about cleaning up. There is a high-velocity motor in the trimmer that creates the powerful suction to collect all your snips. Additionally, this trimmer features one-of-a-kind lift and trim technology where the trimmer lifts guided hairs, creating a more effective and efficient cut. This trimmer includes self-sharpening steel blades to help you get the perfect shave for years to come. 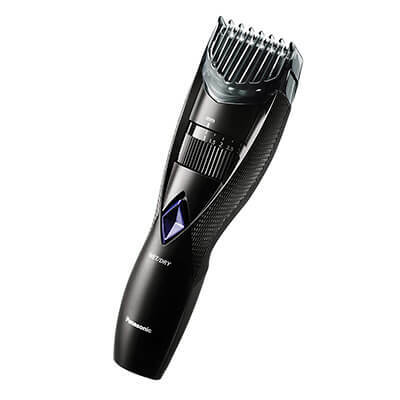 Philips Norelco 3750 is the best selling trimmer, coming from the worldâ€™s best trimmer brand. This trimmer itself offers DualCut technology which means there are twice as many blades as a standard trimmer gives, helping you get an even better shave than usual. During operation, these blades brush up against one another to sharpen themselves throughout each use. Even after years of use, the blades will still be sharp! Even more, you will enjoy the 60 minutes of extended use that is granted per one singular charge. 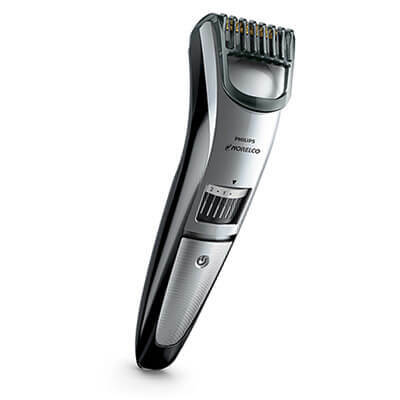 The award-winning Panasonic Milano series ER-GB40-S Hair & Body Trimmer uses durable, super-sharp 45Â° angle stainless-steel blades to create the optimal cutting edge for quick, efficient hair, mustache and beard trimming. Quick-adjust electric trimmer dial provides 19 precision settings for hair and beard trimming, sculpting, cutting and detailing. Lightweight men’s trimmer design includes a rubberized grip for maximum comfort and control; clean the electric beard trimmer in seconds under running water with easy-open water drain. Last but not least, the Panasonic ER-GB40-S 19 has sharp stainless steel blades held at a 45-degree angle to create the perfect cutting edge and surface for your best shave yet. This feature doesn’t depend on if you are trimming your hair, beard, or mustache. This trimmer is able to be used either wet or dry and is fully washable. Complete on this trimmer as well as a quick-adjust dial which provides you with 19 different precision settings for all of your various trimming requirements. This device fits great in the comfort of your hand thanks to its ergonomic design with flexible rubber grip. This gives you ease of use throughout every shave. All of these beard trimmers will give you a new shaving experience that you havenâ€™t been able to enjoy yet. If you are looking to improve your shaves and your style, then one of these seven trimmers will provide you with your fulfilled shaving dreams. Take a look and see which one will fit your style today! How Do Beard Trimmers Work? Beard trimmers have an electric-powered motor to power the trimming head. Contrary to manual razors, the movement is uniform and measured, and the blades are sharp enough to prevent hair follicles from getting pulled out. This is what leads to cleaner results without cuts. The blades describe an elliptic path as they move, and they meet in one point to provide smooth trimming. How to Clean a Beard Trimmer? Usually, beard trimmers come with oil and a little brush. To remove hair from the inner workings and the blades, use the brush. If you find hair caked inside the trimmer, remove it with clippers. Finish it off with a cotton swab to remove hairs from the crevices of the beard trimmer. Ideally, you should do some cleaning after every shave, but doing it at least once per week is advisable. For more details read this tutorial. How to Sharpen a Beard Trimmer? To do the sharpening, remove and clean the blade, then run it over a coarse sharpening stone. You may have one already, but if you donâ€™t, you can find one online or in hardware stores. Keep a thirty- to a forty-degree angle between the blade and the stone, and always move in a forward motion. Repeat this process between five and six times until the surface looks even and shiny, strike the blade five to six times, and turn it around and repeat the whole process. More detailed instruction of sharpening a beard trimmer read here. Whatâ€™s The Difference Between a Beard Trimmer vs an Electric Shaver? 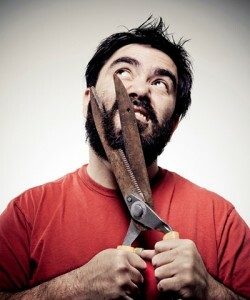 A beard trimmer can cut sizeable hairs without harming the skin. The blades of a trimmer hover smoothly over the surface of the skin and trim the hairs without touching the skin, unlike manual razors. Unfortunately, you canâ€™t get a close shave with a trimmer. An electric shaver has spinning blades that get close to the pores. The machine removes hairs from the upper skin pores, so you get a full shave without stubble. Unfortunately, electric shavers are heavy and bulky, so shaving sensitive parts are difficult. Whatâ€™s the Difference Between a Beard Trimmer vs a Body Groomer? Beard trimmers are compact, and the attachments and adjustments are designed to accommodate facial grooming. You can adjust it to create precise styles such as goatees, beards, sideburns, and chin stripes. Body groomers are large, and the attachments and adjustments are designed to accommodate body hair. Similarly, they trim body hair without shaving the skin. Some groomers have extensions to remove unwanted hair from hard-to-reach places, such as the back. What is the Best Beard Trimmer for Stubble? A good beard trimmer should handle beard and stubble without losing its edge, but especially without breaking the bank. Fortunately, Philips Norelco has a high-quality stubble with several length settings, a set of self-sharpening blades, and an affordable price tag. Can a Facial Hair Trimmer Be Used for Body Hair? Technically speaking, yes. However, you should get a different trimmer for your body hair, such as a body groomer. This isnâ€™t only about effectiveness, but hygiene, as you probably wouldnâ€™t like to use the facial hair trimmer you just used in your groin and armpits in your face. Can A Beard Trimmer Be Used for Pubic Hair? If weâ€™re talking about capacity, yes, you can. A beard trimmer can do a great job trimming your pubic hair. However, you might be better off purchasing a different trimmer for the job, as not everyone would like putting the trimmer they used in their groins near their mouth. Can A Beard Trimmer Be Used to Shave My Head? Of course! The main differences between beard trimmers and hair clippers are power and blade width. The only real downside is the time itâ€™ll take, but you can still pull it off reliably. Can A Beard Trimmer Be Used to Shave My Legs? You wonâ€™t get clean-shaven legs, but if you’re looking for a trimmed look, a beard trimmer can help you. Itâ€™s advisable to start slowly, with a 4 guard or so, until you can get a feel of how youâ€™d like to look. Can A Beard Trimmer Be Shared? Nothing stops you from doing that, but the fact of the matter is that little blades, be them from a razor or a trimmer, can get infected with someone elseâ€™s blood. Generally, youâ€™d be wise to avoid such a scenario, and instead, keep your personal trimmer for your own use. Can A Beard Trimmer Be Used to Trim Eyebrows? Itâ€™s preferable to not use any cutting implement near your brows on your own. Many things could go wrong, so let a professional help you instead! Can I Take Beard Trimmer in Hand Luggage On Plane? Many airplane restrictions are a bit unintuitive at first, and a mistake might cost you your flight. The best thing you can do is play by the rules, and fortunately, electric shavers and trimmers are allowed both on the plane and the checked luggage. Which Wahl Beard Trimmer Is the Best? Whether you want an incredibly-close shave or a detailed chin strip, Wahl does the trick. The Wahl 9818 is handy, sleek, and cordless, but above everything, itâ€™s sharp and precise. If youâ€™d prefer something more affordable without sacrificing the professional performance, the Wahl 9854-600 offers the same high-grade trimming at a lower price point. What About Brio Beard Trimmer? The Brio Beardscape seems like the most stunning beard trimmer money can buy. It features a ceramic blade, which is much harder than stainless steel, and the capability to change the speed at which the blade oscillates. The blade is more breakable though, so you have to be more careful. Brio Beardscape is one of the quietest men’s trimmers on the market! The titanium rake is accuracy ground to match perfectly with the ceramic blade. This Brio Trimmer charges in the base or by plugging in while you utilize it. But with unbelievably long battery life, your shaving/trimming process will never be interrupted. Also, Beardscape is an exceptional hair trimmer for any manscaping task. It’s streamlined, simple to use, and has high-quality parts. Brio Beardscape has five-speed settings to change the cut type and multiple of length options to give you the trim you’re trying to find. An LED screen displays speed setting, battery life, and cleanliness of blades to keep you up-to-date on notifications. Some men say that Brio Beardscape men’s beard trimmer is like an iPhone X among the other trimmers. We totally agree. Which Beard Trimmer Can You Use In The Shower? There are several waterproof beard trimmers out there you can use in the shower, but some models can get very expensive without doing anything special. The safest bet is going for a trimmer from a respectable brand. The Panasonic Wet and Dry Trimmer is a cordless, waterproof beard trimmer with several length adjustments, and perfect for the shower! What is the Best Beard TrimmerÂ for Longer Beards? Those sporting longer and thicker beards will need a heavy-duty trimmer with adjustable length settings. Itâ€™s important you wash your beards thoroughly before the trimming if itâ€™s too long, and we recommend using something like the Wahl 5537-1801. It has high-carbon self-sharpening blades, guiding combs to achieve your desired length, and itâ€™s affordable. Which One Is Better: Braun Trimmer vs PhilipsÂ Beard Trimmer? Usually, thereâ€™s no set-in-stone â€œbest,â€� but rather what works best for you. The following brands represent the industry, and for a good reason. Braun trimmers for beard are very popular, and one of such models is the Braun 7 790cc. This trimmer was designed with cutting-edge technology to outdo its competitors and boasts three cutting elements and an adaptive shaving motor. On the other hand, Philips provides simple and functional designs that offer professional grooming to all without sacrificing performance or endurance. Philipsâ€™ QT4011/15 is one of their popular models, and it has several length adjustments, self-sharpening blades, and long battery life. What Is the “Beard Trimmer for Bikini Area”? More often than not, theyâ€™re called Bikini trimmers. Due to the sensitivity of the area and easily-irritated skin, shaving the bikini line calls for gentler, versatile trimmers that wonâ€™t generate irritation, nicks, or bumps. Which Beard Trimmer Is the Best for Black Man? Black men face some problems when shaving, mainly due to the particularities of their hair. Namely, they need trimers that offer strength and sharpness to avoid pulling and tugging, which is the result of rough hair and lack of power. 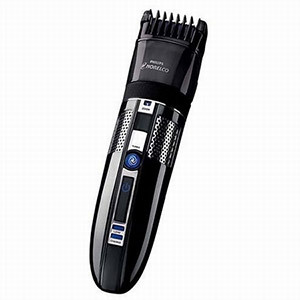 Luckily, beard trimmers such as the Panasonic ES8243A were designed with powerful motors and sharp blades. Which Men’s Beard Trimmer Is the Best for Travel? 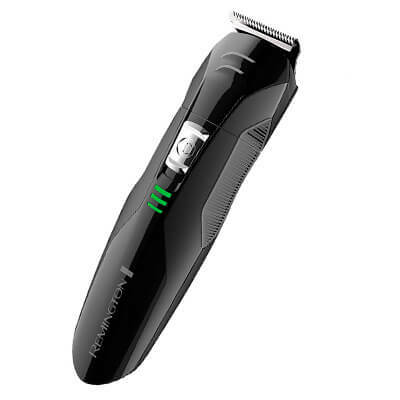 A â€œtraveling beard trimmerâ€� must be small, effective, and cordless Gilletteâ€™s Fusion ProGlide Styler runs on a single AA battery, has enough power to trim down long beards, and you can switch it into a straight razor if youâ€™d like a clean shave on occasion. How to Use a Beard Trimmer with Laser Guide? If youâ€™re using a beard trimmer with a laser guide, all you need to do is turn on the laser guide to pre-align your style before you start cutting. It might feel weird at first, but using a laser guide is an improvement over looking from side to side and comparing sizes with your finger to achieve a symmetric shaving. Which Is the Best Beard Trimmer with Vacuum Hair Catcher? If youâ€™re doing detailing on your goatee every day, you may not be making much of a mess in your sink, but those with long beards might spend a lot of time cleaning a hairy mess after every session. Some trimmers come with handy vacuum hair catchers to address this issue, leading to pleasant and quicker grooming. For example, Philipâ€™s Norelco 7200 catches next to all cut hair thanks to the high-velocity motor and fan system, but this isnâ€™t everything, the trimmer has 20 length settings, self-sharpening steel blades, and long battery life. What are the most popular beard styles? There are a lot of beard styles available; each suits its wearer in a unique way. Here are some of the most popular beard styles that will make anyone look cool! Mountain Man BeardÂ (Full beard) â€“ This type of beard has been famous for a long time. It was also a favorite of many popular rock stars, including Jon Hamm. All it takes is to let your natural hair grow as much as you want while ensuring that you comb well.Â It is suited to men who prefer a classic look â€“ and the good thing is, you wonâ€™t need to go to a stylist to get one! Light or Short Beard â€“ A style that is preferred by the world famous soccer player, David Beckham. It is far easier to maintain than a full beard and the style is ideal for any type of occasion. Moustache and Goatee â€“ The classic goatee look is just perfect. Common among various celebrities as well as men in general, this style gives off a clean look and suits people of any complexion. Designer Stubble â€“ This style is truly hot. Only a small amount of hair near the chin needs to be grown and kept well trimmed on a daily basis. It gives off a really unique and cool look. These are only the major types of beards. There are much more others. Read our article to see 18 top beard styles. How to use a beard trimmer properly? Always use a beard trimmer in front of the mirror. This will guarantee a close cut. Adjust the trimmer guard to the desired beard length. Ensure that the chin line is straight and that the beard is trimmed evenly on both the sides. You can also use a safety razor or straight razor for this. Clean up the trimmer, guards, and our bath. Oil the trimmer after the usage. Beard trimmers offer an extremely versatile way to get the right type of beard that you want. Perhaps you are one of many men who doesn’t know exactly what to look for when buying your first beard trimmer. Here is a brief list of important things to pay attention to in order to get the best electric beard trimmer you can afford. Today cord-only trimmer is not an option. Go completely cordless, or (more budget option) choose a trimmer with both corded and cordless feature? Hereâ€™s how to make a decision based on corded, or cordless. Be certain to think ahead for business trips. We all know that beards and suits just look awesome together, but unkept beards that just look wild and frizzy make you look a bit weird. If you know that youâ€™re landing and heading straight to a hotel, youâ€™ll be fine with a corded trimmer. However, if youâ€™re landing and going straight from the airport to your task-at-hand, youâ€™ll need a cordless. Traveling overseas? If youâ€™re going for a ten-day business or leisure trip, youâ€™re probably going to need to tighten up that shave. You canâ€™t just bring your corded trimmer with youâ€”itâ€™s not going to work. While many airport terminals in other countries have adapter kits, itâ€™s always highway robbery. Youâ€™ll do best with a cordless trimmer since most donâ€™t require another charge for up to a month if theyâ€™re used on a daily basis. Using a cordless trimmer is about ten times better for the environment, and your energy consumption. One charge of your lithium-ion battery lasts you ages, so itâ€™s as if youâ€™re only using your trimmer once per month as far as your electricity bill is concerned. In recent years a lot of manufacturers have begun sourcing their batteries from countries and companies whose quality control is, letâ€™s say, questionable to be kind. On the other hand, some manufacturers have embraced the Lithium-ion battery that is generally more dependable, charges faster and hold a charge better than old-fashioned rechargeable batteries. So things seem to be moving in the right direction overall. If at all possible you want an electric trimmer thatâ€™s fully waterproof and can be cleaned up by simply holding it under the faucet for a minute. Anything else is a waste of time and money. Try to avoid a beard trimmer that is entirely plastic. Look for a trimmer with high-quality, self-sharpening stainless steel blades, a dependable battery and a range of extensions. There are dozens of beard trimmer brands these days, many of which you never heard of before. Stick with any of the brand names mentioned in this article (Braun, Philips Norelco, Panasonic, Remington, Wahl) and you should be fine. If youâ€™re still unsure which electric beard trimmer is right for you, don’t hesitate to ask your barber for advice. Theyâ€™re familiar with most of the different trimmers on the market and will usually give you a reliable recommendation, or at least tell you in more detail what to look or look out for. To grow a beard isn’t a problem. Actually, it grows of itself. But to have it the way you like it is a little more difficult. Not as difficult, though, as an everyday shaving. And â€“ let me tell you a secret: if you like your beard you don’t need to shave it clean. Think of decorative possibilities! So, if you decided to grow the beard and mustache, you are on the right way. The only thing you need is the bestÂ beard trimmer. Trimmers are simple electric shaving machines doing the same work like scissors, but much more convenient in use. Most beard trimmers have universal application â€“ when it comes to human hair, of course. It is a really indispensable thing in the household unless you are in no way limited to using the services of a professional barber or hairdresser. When selecting a men’s trimmer for your beard and mustache, consider some points. Beard trimmers can be cordless or need to be plugged into the power grid for their work. Cordless ones are usually a bit more expensive, but if you are much of a traveler, that’s your variant. Pay attention also that the trimmer has a good case â€“ as it isn’t always the case (a little pun, you know). Even if you plan to use it at home, think of the exact place you are going to usually do your trimming. A lot of hair will be falling during the process. So it is better to do it in places where it will leave the least mess or it will be easy to tidy up. Maybe it is over the wastebasket or even outdoors. Will there be a handy electric socket at your service there? If not, opt for the cordless beard trimmer. Select from top beard trimmer manufacturers, such as Philips, Braun or Remington (affordable option), Panasonic, Whal, Brio, Bliss. There can be a different number of accessories that go with the trimmer. In our opinion, there couldn’t be too much of them. Well, almost. You never know what you’d like or need of just find it a cool thing, even if it isn’t your first trimmer. Such attachments as those allowing you to trim the hair in your nose or ears are a very good thing, really. The price is always a consideration, too (for most people, at least). It is difficult to recommend something in this regard. It is always possible to buy a quite satisfactory trimmer for half the money youâ€™d have to pay for a leading brand. Having bought your beard trimmer, read the user manual. And be very careful with your first trimmings, until you are well confident. When you shave with an electric shaver or safety razor, you canâ€™t shave off too much bristle. But with trimming it is a constant danger. Whenever possible use attachable limiters which would prevent you from making baldish patches. Choose the best beard trimmer suitable for you and to let your beard look awesome. What are your thoughts about beard and beard trimming? Let’s discuss below in comments. Which of these trimmers is this good for trimming down thereâ€¦ private area? Good question. Most clipper head would be too big and bulky for that operation. Look for a trimmer with a smaller head adjustment. Remington trimmer from this list has the head for private areas. My beard trimmer pulling my hair out! I always end up just buying a new one when this starts to happen. What trimmer are you using? I guess if it’s a cheaper set, the blades could start to wear out. You might be able to just get another set of blades or sharpen current blades? Also, I would recommend that you use some WD-40 on the blades, and spray a little on the moving parts….it will resurrect the trimmer. I haven’t paid for a haircut in over 17 years- as I cut my own hair with a trimmer. Just make sure that you wipe off the excess WD-40, or you will end up spreading it through your beard or hair…which isn’t pleasant!! So, I’m thinking about using a trimmer, but I want one that shaves very close. I see a lot of them on Amazon. Braun beard trimmers are good, but it still doesn’t do as good a job as a razor. Iâ€™d recommend to use trimmer only to trim my beard. Many people use a Gillette Mach 3 + sensitive shaving cream as well but it doesn’t irritate their face. It could just be technique. Be sure to hydrate your face before using just enough shaving cream (not excessive) afterwards. I also prefer to shave with a slow upwards motion starting from my neck. Have you thought about trying a straight razor? I use to have a shavette and it does a cleaner job then my Mach 3. Less painful to as it doesn’t snag on my beard. Just takes a while to get used to since I still occasionally cut myself. Hi, any recommendations for a good beard trimmer? I have had several Remington and Braun ones, but none have been very good and the rechargeables cells seem to give up the ghost fairly quickly. I don’t want foo ones, i.e. laser guided or fully waterproof etc, just a basic and efficient trimmer. You may give a try to Wahl trimmer. Luke from our team has one of their beard trimmers and one of their hair clippers. The charge life is amazing, as is the performance. All the rest are amateur. Barbers use Wahl. The Li-on battery is actually quite important. It holds a charge for a long long time, and won’t break the bank. It’s better than the Philips one I had before. We already testing some Wahl models and I feel that in upcoming 2019 update to this Best Beard Trimmer review One of Wahl models will sit on a top spot. Iâ€™m looking to buy a stubble/beard trimmer and have no idea which ones are any good. Does anyone on here use them? Which ones are worth the money? A Wahl Super Taper clipper will last forever but only goes so short. Wahl Detailer will take it nearly off if you like to be nearly shaved. Oster Finisher with T head would be the dearest option but they are superb (although look very dated). Great advice. Appreciate the professional’s opinion here at Mister Shaver. Thanks for nice review. Are you familiar with Babyliss trimmers? Iâ€™ve bought a Babyliss i-Trim Stubble of ebay and it worked great for 2 weeks but suddenly it switches of after only half a sec despite being fully charged. It also does it when used with the charger. So I wrote to Babyliss in the UK and they say I have to send it to them but they won’t send it back to US, only to a UK address. Great, thanks for that Babyliss. Can such a thing be fixed or should I just go and order another one? If it wasn’t such a good trimmer that shaves extremely close and accurate I wouldn’t bother. We are testing some Babyliss models now, but no conclusion yet. Sadly when you are not buying direct you have problems and with many companies not willing to ship to the US the problem gets even worse. Which battery operated gizmo will keep me happy? Any or all of them? After struggling for years with various Lidl/Aldi special hair trimmers, I got a “Philips BT7202/13 Series 7000 Beard and Stubble Trimmer with Integrated Vacuum System”. Delighted with it, well worth the 50 bucks on Amazon. First off cut everything at 2mm which was very nearly back to ground zero, now at 3.5mm once a week. The dial length can be easily changed during a trim session. Nice choice, even though I’m not a big fan of Philips shavers, this model is good. I liked your reviews very much. I am using the Braun BT3040 clipper for about 3 years. Do you think it is worth to upgrade to the newer model? Shaving is very personal and whether it is â€œworth itâ€� to upgrade entirely depends on you. Unfortunately, this makes it very difficult for someone else to weigh in and give a recommendation just for you. That is why we at Mister Shaver write such detailed reviews so that you can make the choice as to whether or not this product is the one for you. As to whether you should upgrade your trimmer? It all depends on if you were happy with the trimming that your Braun gave you and if you are noticing that your old beard trimmer is not performing as well as it used to. There is no point in upgrading if you are still happy with your current clipper. I’m using Remington 6530 today. I utilize to shave with a Wahl without a guard and got it done quick, but with this one, the shaver doesn’t extend out enough to do that because the vacuum is in the method, and shaving with the guard to preserve stubble, it doesn’t appear really even. Not even cutting on my cheeks, just near my jaw. What is the very best razor to preserve the brief beard/stubble appearance? You can opt for Panasonic ER-GB370K from this review. This beard trimmer offers you with 19 settings, each of which is at 0.5 mm increment from one another. Therefore, from 1 to 10 millimeter, you can control the trim length to achieve an accurate and in-depth cutting experience. I see that this is an outdated article however I’m searching for a suggestion. My 19-year-old son is thinking about keeping a beard would likely keep it short. Looking at getting him a trimmer for Christmas and doing lots of research. What do you advise for him as a first device? Dear Bruce, we update this review constantly, sometimes on a weekly basis. It is still totally pertinent. How thick is his beard? The Philips Norelco Series 5100 is very practical but if his beard is super thick I ‘d suggest you get him the Brio Beardscape trimmer. Hey! Thanks for a great review. I have a question about the Braun BT5070 beard trimmer. What is the diameter of the wheel that adjusts the lengths of blades? Pretty weird question, Guy. ðŸ™‚ But you as we answer. It’s about 1 inch. I concur, the Norelco 7200 is a great beard trimmer and is worthy to be the top of anybody’s list. When it comes to beard cutting, what tool do you recommend, in the pre, after or during the shower routine? Technically it is much better to trim your beard after taking a hot shower, but that doesn’t always indicate a shower is an absolute need to when it comes to trimming. If there is a need to soften your beard, a shower is the easiest method, however, if you can get the very same outcomes by simply utilizing a comb, that’s the way to go. I’m unsure how would it choose to trim throughout the shower because you probably require a mirror to be sure not to make any mistakes and follow the shape. I was thrilled about your choice of Philips Norelco 7215 Beard Trimmer, but the reviews on Amazon are not that excellent – about 3 stars. Is it truly “one of the very best beard trimmers of all time”? we didn’t say this trimmer is the best of all times. Our list of best trimmer of the year is based on our own review. Sometimes it’s different from Amazon’s rating. But Norelco 7215 is a really good choice. Just want to thank you for the review and for helping me to make a choice. I have actually used many trimmers of numerous brand names, but Philips trimmer you suggested is the best one. I have had a beard for over 5 years now, of different length, however, have actually chosen quite a long beard. I was searching for a trimmer, thank can keep up to 2 to 3 inches in length, actually tough to trawl through different sites, and the longest I have discovered is 0.8 inch. Any recommendations and aid would be actually valued, please. 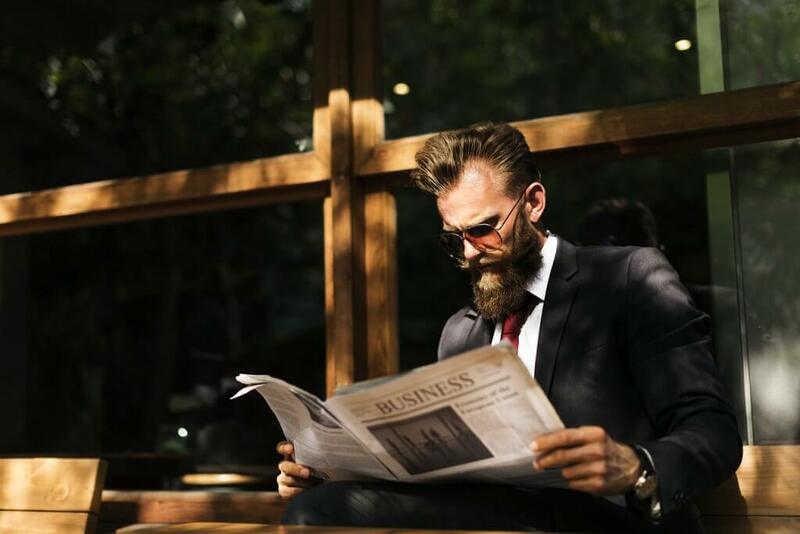 Here’s the deal: after the length of about 15mm hairs do not have adequate strength to stand on their own and even beard trimmers above that length will have trouble to trim your beard equally. You are pretty much forced to help yourself with a comb and potentially scissors. Don’t trouble looking for trimmers with longer settings, discover how to trim your beard using a trimmer, a comb, and scissors. I would like to be able to trim bear in a shower to avoid having to clean up the sink. What are your leading two for cutting in the shower? Philips 3700 (maker does not confirm you can use in the shower)? Hi I completely enjoyed reading your long article. I just have a few concerns. I have sensitive acne prone skin and have battled with 5 blade razors, I have actually just recently changed to a top of the line electrical shaver and expecting better results. 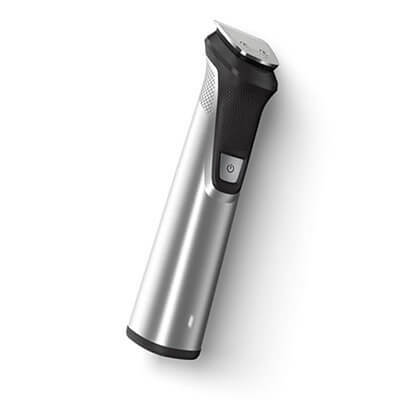 Another option I am taking a look at is buying a beard trimmer as I have heard this is a great alternative for acne prone skin. I just need to discover one that gives me the outright least mount of bristle (more effective > 1m) which also won’t aggravate my skin. Do you have any recommendations? Yes, a beard trimmer can be a terrific alternative for those with acne/sensitive skin. If cutting closeness is your essential criteria then the Andis 4775 Trimmer would be an excellent choice. It is an expert level trimmer that can be zero-gapped (blades can be by hand changed) to cut even closer. It’s no very popular model, that’s why it’s absent in our top list. What is your opinion of the Bevel trimmer? It appears expensive however has actually won awards and such. My husband has a long rough beard and likes to preserve that but also likes to alter and do a stubble and preserve that. I don’t want a ton of attachments and desire the battery to last a very long time. It’s so difficult trying to select a beard trimmer for him. The Bevel trimmer does look like an extremely top quality product– and it has some terrific design features. Nevertheless, from talking to our Barber contacts the performance is compared to cheaper models. For the around $200 cost, we would have anticipated somewhat more. There are some key differences in between the Bevel Trimmer and, let’s say, Brio Beardscape; and if you believe those features include enough value to your cutting experience that you can disregard the price differential, then go for it. Good list. I’m personally a fan of the Babyliss trimmer. I think every male ought to grow a beard at least once. I have actually attempted several beard trimmers throughout the years, and Braun BT5090 is clearly the best. Highly adjustable trim height. Edge trimmer works well on mustache. Cut hair goes mostly under the detachable head, so this must be removed each time to clean it, however this is really quickly achieved. I like the reality that it tells you when it will soon require a recharge but enables one to finish the current trim. Bring case a plus. There’s a reason why you’ll never see a pro with “adjustable” guides. They flex leaving you with an unequal trim and they break sooner than later. Do yourself a favor and simply get utilized to the guides and do not succumb to gimmicks. As far as the battery indication goes, almost every half-decent design has them. It wouldn’t be something I ‘d even bother examining because it’s anticipated. Most of my friends have Remington PG6171 and they all love it. However, I hate the fact that some of the features seem to be completely useless. I mean yes it is very affordable so I guess it doesn’t really matter. I just don’t understand the need for some of the features. I am when again “sporting” a beard. The big concern is how to keep it under control and presentable. I have another brand of cordless trimmer but it has actually never ever been satisfactory. So after reading the short article, I had a look at the other reviews that I could find. There is one little detail that is hidden however was implied in one evaluation, which is that this trimmer has a 110-220 volt charger. I invest a lot of time abroad so that sealed the deal for me! The plastic snap-on trimmer guards are simple to put on and take off. I got rid of the trimmer head and put it back on. There might be a few too numerous various sizes of trimmer guards, however better too many than not having the “best one”! Juan, only time will tell how trusted and durable it is. It certainly feels and look like it will last for years. It is a guaranteed action up from my previous trimmers. Among the evaluations I check out complained that it wasn’t very good for cutting dog’s fur. Well, this old canine discovers it more than satisfactory for human requirements! I plan to experiment with my beard style this year (new beard every month). Which trimmer would be the best for this challenge? Just browsing for a beard trimmer for my boyfriend for St.Valentine’s Day. I believe Philips Norelco Beard Trimmer 7300 will be the finest option for him. 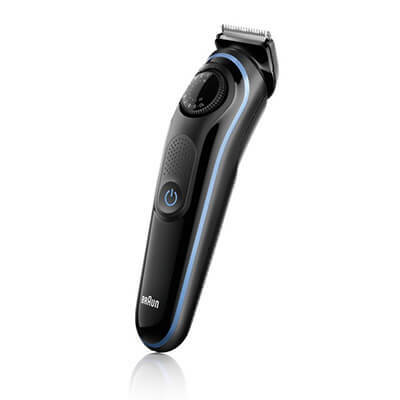 Philips Norelco 7300 (Model #QT 4070/41) is one of the very best beard trimmers in the existing market. Your boyfriend will be happy. I’m searching for a quiet model of beard trimmer. Something budget friendly and compact. It’s a challenge, Carl. The combination of quiet, inexpensive and compact is a difficult task when it comes to beard trimmers. You mention tranquility first … Brio makes a fantastic, high quality, peaceful trimmer, but you will pay a bit more and we are not sure if it is considered compact enough for you. At the other option, you have an extremely compact, professional unit called the Wahl Professional Peanut, that is available in either corded or cordless. I hate Wahl trimmer. Mine just quit working after 4 months. Method to much money for something you can’t get more than 4 months out of. The greatest issue with all cordless customer trimmers including the Wahl 9818 is that they do not have enough power to prevent pulling of coarse hairs. Even inexpensive corded trimmers and clippers never have this issue. Why do waterproof beard trimmers have to be so expensive? Like I feel like that should just be a standard by now right? Trying to search for a good beard trimmer makes my head spin. I’ve heard so many good and bad things about every brand. I wish there was just an end-all-be-all trimmer that everyone used. I like your website. But there is not much info about Wahl brand which is my favorite. Thanks Felix. Wahl trimmer review is planned in one of the upcoming updates. The Panasonic ER-GB370K almost has me sold but the battery life is such a bummer. What beard trimmer would you say is pretty similar to this one but has a better battery life? 40 minutes is a good battery life. Do you trim longer? You can find Panasonic ER-GB370K alternatives with longer-lasting battery (such as Brio trimmer), but then you may miss some cool Panasonic’s features. Choose wisely. I have been using your website to do research in the search for my next beard trimmer. Your hard work and dedication to this website have helped my search tremendously. Thanks for keeping up with all the latest new tech. I’m glad to be helpful, Darien! You really make it seem so easy to find a trimmer with your presentation but I find this topic to be actually something that I think I would never understand. It seems too complex and extremely broad for me. Iâ€™m looking forward for your next post, I will try to get the hang of it!